A specter is haunting our land. It is the specter of a Gotabaya Rajapaksa Presidency in 2020. 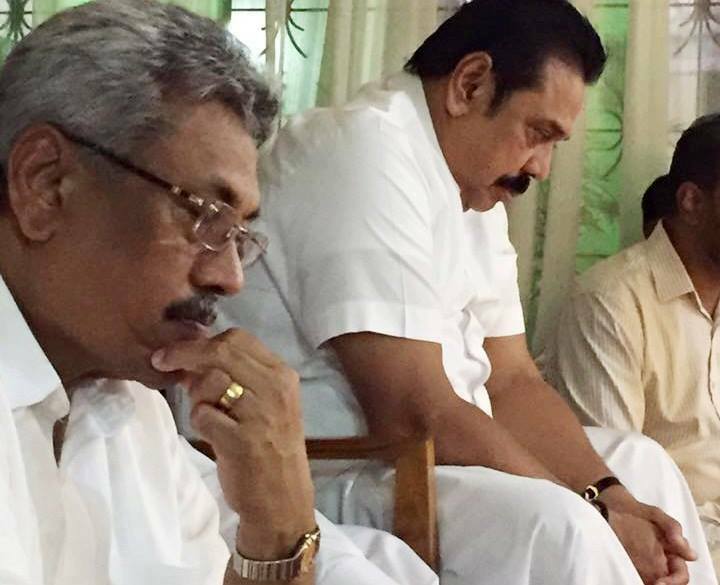 We have forgotten how we feared Gotabaya Rajapaksa’s inviable hand on the levers of power before 8th January 2015. I am too old to care. These words are written not in fear but in despair. As novelist philosopher Milan Kundera said in lyrical elegance, our struggle against power is the struggle of memory against forgetting. Just this morning Dinesh Gunewardena was brushing off the Rathpaswala shooting as just another happenstance on a TV program called ‘news line’. That was a clever line for the son of the father of Marxism who denuded the Sinharaja rainforest for a plywood factory in his backyard. We all carry heavy baggage. With a conniving President Sirisena quietly egging on, there is little or nothing to halt Gotabaya’s ideology of Sinhala Buddhist exceptionalism gnawing in to the primitive minds of a majority of our majority tribe. It is said that the tycoon brother Dudley Sirisena is the facilitator of this Faustian compact. That makes sense. Billionaire oligarchs flourish with all powerful leaders. Janadhipathi Thaththa is assured of a quiet retirement retreat in the obscurity that awaits a shameless, fraudulent prophet. Trapped in myth and legend, insisted upon as our impeccable heritage by a Sinhala Buddhist clerical mafia, we are deprived of a supportive culture either capable or equipped to embrace human progress in this day and age. Thanks to the nincompoopery of President Sirisena, the unthinkable now seems inevitable. That is, unless, this parliament succeeds in abolishing the executive presidency. Gotabaya Rajapaksa will surely end up the supreme law giver of this blessed island. And worse, it will be in the guise of redeemer of the Sinhala Buddhist tribe. We must get our facts straight. While many were repelled by the debauchery of his governance, Mahinda was and still is the one dominant leader in our midst. The absence of any credible competitors makes him much taller than he really is. The circus of the last three years demonstrates the point. Sirisena parading on his SLFP leader stilts to come up to Mahinda’s chin! 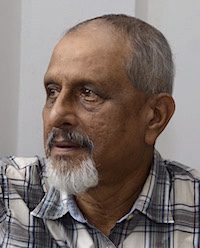 The historic coalition that ousted the Mahinda regime in 2015 was entirely energized by a collective fear of the deep state that functioned under his brother – the then defense secretary Gotabaya Rajapaksa. The record shows Gotabaya Rajapaksa to be less of a soldier and more of a manipulator. He left active service at the height of the war, migrated, renounced his nationality and never set foot on the land of his birth until the brother contested the presidency. Gotabaya is Cleonymus – the Athenian general who dropped his shield in battle and fled. But then, he made up for his abandonment by carefully constructing a persona of achiever, go getter and warrior hero capping his rise with a sycophant profiler obligingly producing a tome titled Gota’s War. He jailed the soldier who won the war and claimed title to the victory with the Sangha notarizing the deeds. Today he is well positioned to climb the greasy poll of power. He will do it with ease and relish. An obliging Buddhist Sangha fraternity will wipe off the grease with their saffron wraps and tilt the pole to an easy, accessible angle. That said, it must be recognized that as Defense Secretary he conceptualized the campaign that made soldiering for the legitimate state a righteous and virtuous calling. Post war he made it a political project. The pride in the uniform and remembrance of the fallen were brilliantly used to capture the imagination of the nation. That it produced a Sinhala Buddhist constituency for Gotabaya is an accidental by product. Gotabaya cannot be blamed for that. However, our common sense directs us to be alert to the danger. 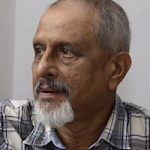 His gauleiters- General Kamal Gunaratne and Admiral Sarath Weerasekera have given us enough reason to be wary of a Gotabaya presidency. The image of the heroic soldier was created at considerable moral cost. It totally rejected even the minutest empathy for the minorities whose genuine grievances were construed as an existential threat to the Sinhala people. Any empathy with the minorities- the Tamil people was identified with the coward, the malingerer and the deserter. It was a deliberate strategy. The man’s brilliance lies in his capacity to reinvent truth according to his personal agenda. A Gotabaya presidency promises a dreadful dystopia. It will bifurcate the Sinhala majority in to the heroic and the anti-heroic. The minorities, needless to say would be the enemy. His ascendancy to power must be thwarted. Why? Because he is a vicious, vindictive, racist, control freak. It is time to take stock of our predicament. We are a thinly disguised quasi theocracy. We are covered in a strange mosaic that combines the dark green battle fatigue of the patriotic soldier and the saffron robe of the patriotic priest. Gotabaya has a finely tuned alliance with the Sinhala Buddhist Sangha who are either genuine Sinhala nationalists or pure and simple political operatives clad in robes. In Sri Lanka the saffron robe is not a refuge from worldly affairs. On the contrary, it is but an entrée to social advancement. Once ordained they develop peculiar hobbies such as taming baby Elephants, feeding them with tamarind pods. Some die in the process! These clerics are elites and their temples are manorial enclaves of great prestige. They radiate fearsome shadowy power over believers and followers. They are manipulative maestros in defining proper behavior for themselves and their flock. They claim an inherent and natural prestige. They exert an unimaginable influence over a people held hostage to tradition and social norms. They are a pivotal breed of political players in Gotabaya’s great game. The autocrat seduces them with patronage. They return the favour by legitimizing the autocracy. The intensity of their attachment to the teachings of the Buddha is propionate to the engine capacity of their limousines. This writer is a practicing Buddhist now in his 75th year. My children are under strict instructions to avoid any saffron mumbo jumbo when I board the ferry. No need for dead weight! Gotabaya Rajapksa is the dream candidate of this cold and calculating class of the Sinhala Buddhist Sangha. They fast during day and feast at night. They celebrate celibacy with a sensual and venal élan. Their Nirvana is perfected through centuries of politicking behind curtains since the time of our Kandyan kings. Prince Siddhartha renounced once when he left his palace. Our soldier statesman will do better. He has once renounced his Sri Lankan citizenship. Now he has promised to renounce his US citizenship. That is a double whammy in the business of renunciation. It qualifies as an ‘avant-garde’ redemption! The last three years have demonstrated the futility of converting a patrimonial state in to a functional democracy. In the patrimonial state, the sources of power- status and wealth are concentrated in the state. The political class and the priestly class are in a symbiotic compact sharing the spoils. Excellent writing. Gota’s strategy of administering is showing up army personal everywhere in the society to make it fearful. Then 50% of protests against him will self-muted. The rest will be controlled by guns and bullets. Or minimally by battens. Yellow dressing bold headed gang will shielding and justifying him. Do we need another Premadasa or Mahinda period? Why Sri Lankans are such stupid ?? ?